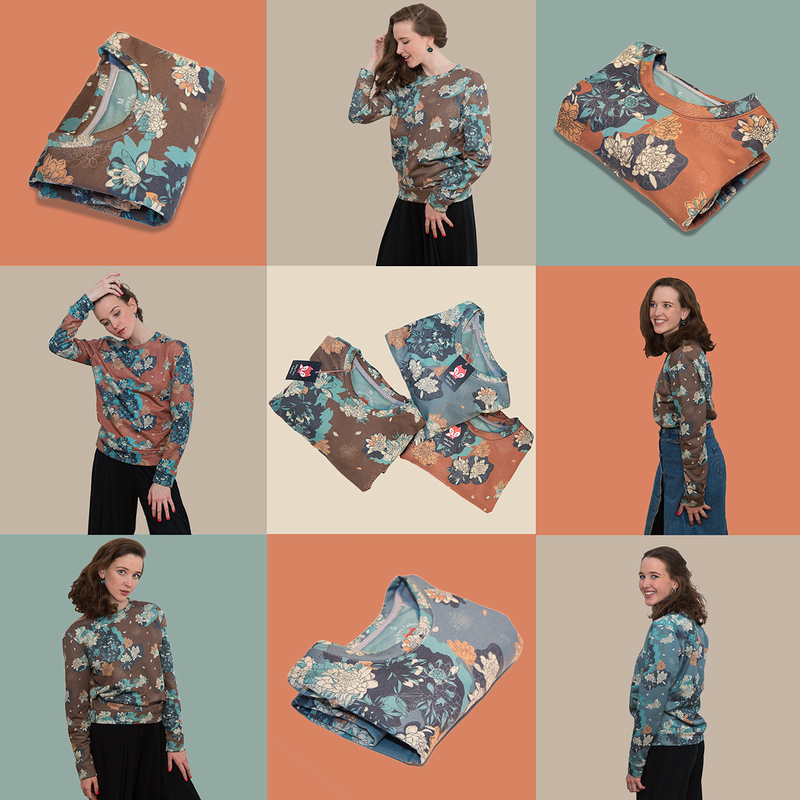 I have recently worked on a project to create illustrations and patterns for a new sweatshirts collection of a small fashion brand Silky Foxy Fabrics. The goal was to create unique collection of patterns with flowers in vintage style that will be printed on a jersey fabric. I have drawn sketches and ornaments of blooming flowers by hand in Illustrator Draw on my iPad and later did colouring and post-production in Illustrator and Photoshop on a Mac. 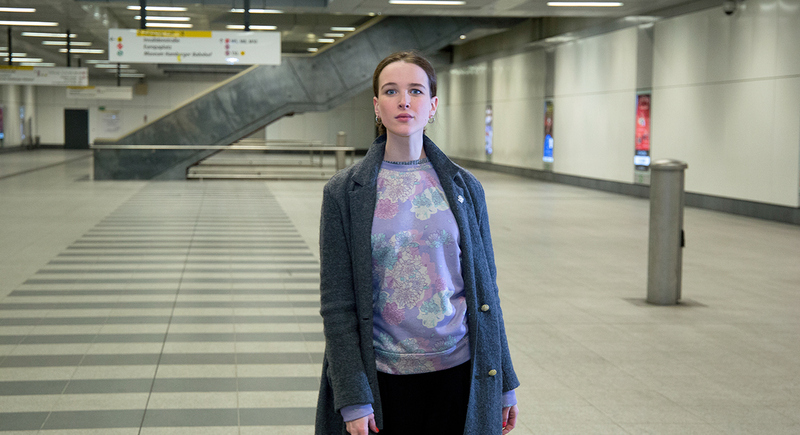 Each sweatshirt is unique and has colour palette that fits different styles and moods: desert terracotta, meadow sienna, lake Prussian blue and lunar lavender. 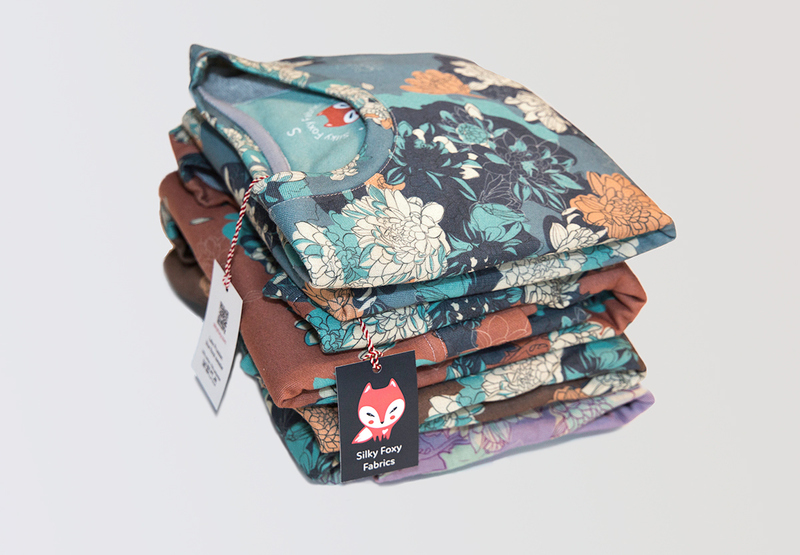 Silky Foxy Fabrics is a small fashion brand based in Berlin. 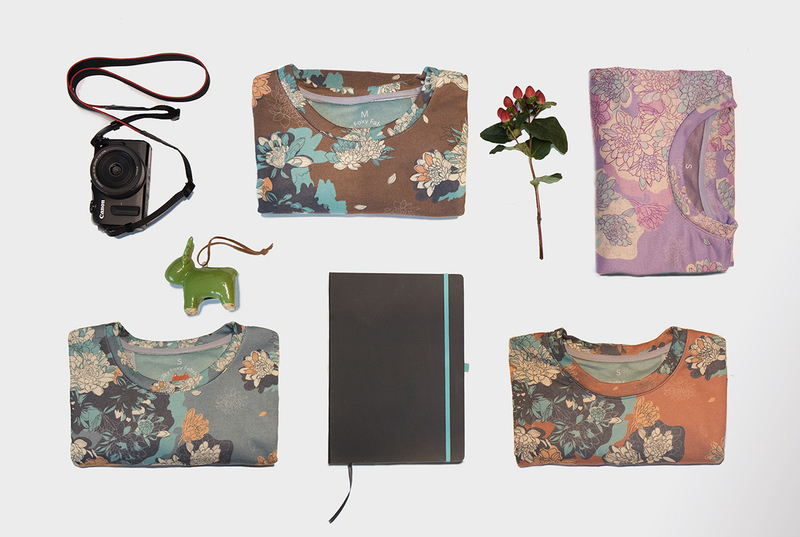 It produces limited editions of clothes and accessories for women with unique designs. Follow Silky Foxy at Facebook and Instagram. © Copyright 2017 — 2018. All rights reserved. I have recently worked on a project to create illustrations and patterns for a new sweatshirts collection of a small fashion brand Silky Foxy Fabrics. The goal was to create unique collection of patterns with flowers in vintage style that will be printed on a jersey fabric. I have drawn sketches and ornaments of blooming flowers by hand in Illustrator Draw on my iPad and later did colouring and post-production in Illustrator and Photoshop on a Mac. Each sweatshirt is unique and has colour palette that fits different styles and moods: desert terracotta, meadow sienna, lake Prussian blue and lunar lavender.